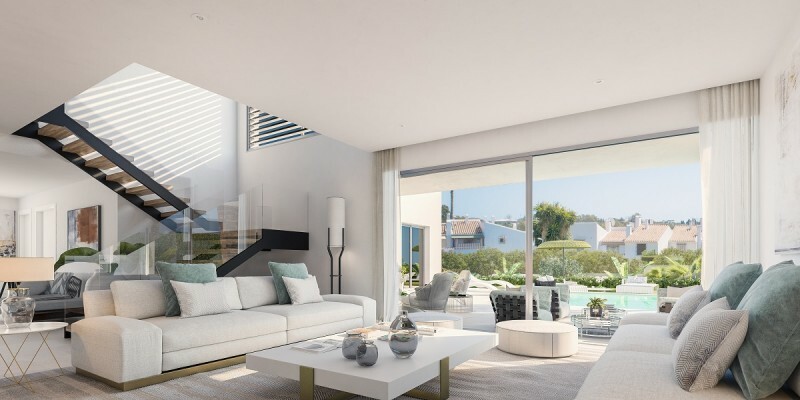 Las Perlas de Monte Biarritz is a new project of detached family sized villas located a short walk from all the amenities of the New Gold Mile including shops and restaurants. The popular centres of both Estepona and Marbella are just a short drive away in the car and on the doorstep you have beaches, golf courses and the amenities of the Costa del Sol. 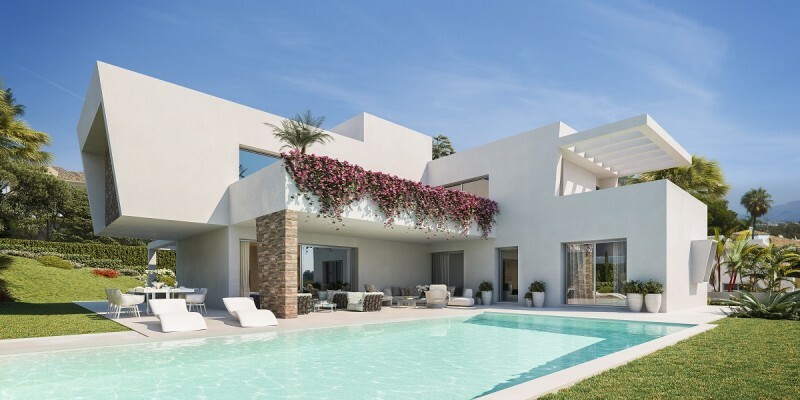 These new build villas stand in good sized plots of around 1200 m2 which area landscaped with gardens and of course a private swimming pool. The standard house (382m2) will give you 4 bedrooms and 4 bathrooms although you can reconfigure the standard layout to give you 5 or 6 bedrooms if your need the extra space. 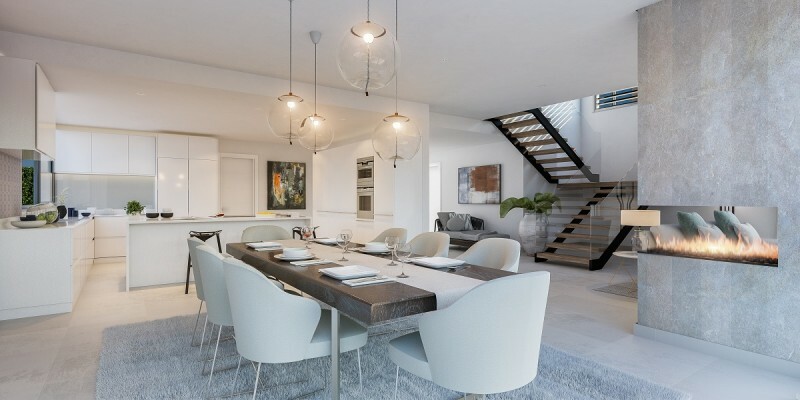 In addition to the normal open plan living space with a fully fitted kitchen there is also a good sized family rooms which these days essential. The open planning living area includes a stylish floating wooden staircase which helps define the space. The kitchen is will be fitted with quality Nolte units and Siemens appliances. Under floor heating is installed throughout the house together air conditioning. The double glazed windows are fitted with blinds to control the sun into the bedrooms. Water heating is assisted by the installation of solar panels. These are sensibly designed homes ideally suited to the family buyer. The ability to customize to your requirement means you will get the house you want. You can choose from 3 different designs as your starting point.